Do you think English is a hard language to learn?If so, you’re not alone. English students all over the world are lamenting at the difficulty of the English language, with its irregular verb tenses and spelling that doesn’t seem to follow a logical pattern. But is it really as difficult as it seems? The reason why English is the easiest language to learn is because of the vast selection of English resources to learn from, including TV shows, movies, music, podcasts, books and websites. English is the most studied foreign language in the world and there are a ton of resources available to help speakers of each specific language learn English. There are thousands, perhaps hundreds of thousands of books written about learning English as a foreign language that you can use to improve. In addition there are a ton of great English learning blogs on the internet. 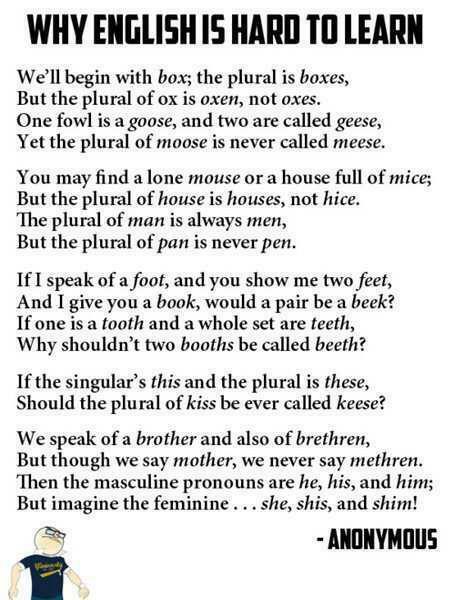 Of course English is not easy to learn but not impossible. Definitely a ton of Study material available for this purpose.